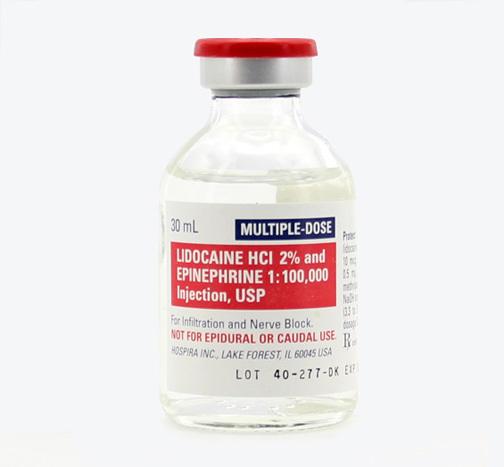 Local Anesthetic Lidocaine HCl with Epinephrine 2% (1:100,000) injection in 30mL multiple dose glass flip-top vial with red cap. Manufactured by Hospira. NDC Number: 00409-3182-02. 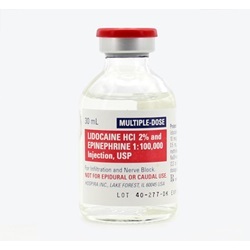 Generic drug name is Lidocaine HCl / Epinephrine. Comes as singles.